CHERRY HILL, N.J. and NEW YORK, March 28, 2018 /PRNewswire/ -- Estate planners and advisors have a surprising second job: family therapist. In fact, 44 percent of planning professionals identified family conflict as the biggest threat to estate planning this year, followed by tax reform (25 percent), and market volatility (12 percent), according to the latest survey by TD Wealth. Additionally, over half (53 percent) shared that guardian and beneficiary designations are the most difficult document for clients to tackle when building an estate plan; with Current Will (17 percent) and Power of Attorney (16 percent) vying for second. "Losing loved ones can be difficult, and talking about what happens when a loved one is gone can be even tougher. We encourage families to start the dialogue early, and make sure they have the right people around the table from the beginning. That includes financial advisors, tax advisors, lawyers, accountants, and family members," said Ray Radigan, Head of Private Trust at TD Wealth. "The Tax Cuts and Jobs Act brings about the biggest tax reform change we've seen in years, and for those planning an estate, it may introduce an opportunity to potentially reduce future transfer taxes," continued Radigan. "While uncertainty may continue in the near-term, it's important to review your trust and estates plans with your financial advisor and tax advisor sooner rather than later, to ensure you and your family are prepared when the time comes." "The final legislation temporarily doubles the exemption for estate tax, leading some to assume estate planning may no longer be necessary. That couldn't be farther from the truth," said Radigan. "With such significant changes to wealth transfer taxes, it's more important than ever that individuals and their families come together to develop a cross-generational financial plan." TD Wealth is not a tax or legal advisor. You must consult with your own tax and legal advisors for specific advice pertaining to your estate planning needs. Through TD Bank N.A.,TD Wealth's Private Client Group and its affiliates work with mass affluent and high net worth individuals and institutions to help build, preserve and transition wealth. TD Wealth is committed to helping personal investors, institutional and non-profit organizations gather and potentially grow their assets by building long-lasting relationships, and is affiliated with one of the 10 largest financial institutions in the U.S., TD Bank, America's Most Convenient Bank®. From private banking, securities, investment advisory services, private trust, and estate planning, to institutional trust, including retirement planning, captive insurance and trustee services, TD Wealth creates and delivers customized and integrated wealth management solutions. 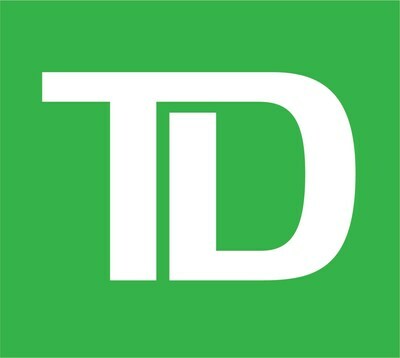 TD Wealth is a service mark of The Toronto-Dominion Bank. For more information, visit http://www.tdbank.com/investments .